have access to world-class chiropractic and physiotherapy services as an alternative to medication, injections, and surgery. Our approach to better spine and joint health is the crucial factor, differentiating us from others. CSC (Chiropractic Specialty Center®) clinical teams are amongst the best in chiropractic and physiotherapy. A CSC trained physiotherapist or Doctor of Chiropractic offers better-targeted methods of holistic care. Training programs for our clinical staff are comprehensive. Besides, we are very particular about who joins our team. In short, we pick the best and then train them to be world-class experts. Our recruitment efforts, training programs, methods of care, spine technology are foundations for our clinical excellence. To conclude, we are the best chiropractic and physiotherapy center in Malaysia. Chiropractic Specialty Center provides essential non-surgical and non-invasive healthcare services. Chiropractic Specialty Center combines chiropractic and physiotherapy. Our centers have treated a range of health issues from neck pain, back pain, headaches, knee pain, hip pain, and shoulder to more complicated conditions such as scoliosis, slipped disc, post-surgical pain, and TMD with great success. We also help elderly patients with balance and other chronic degenerative issues. 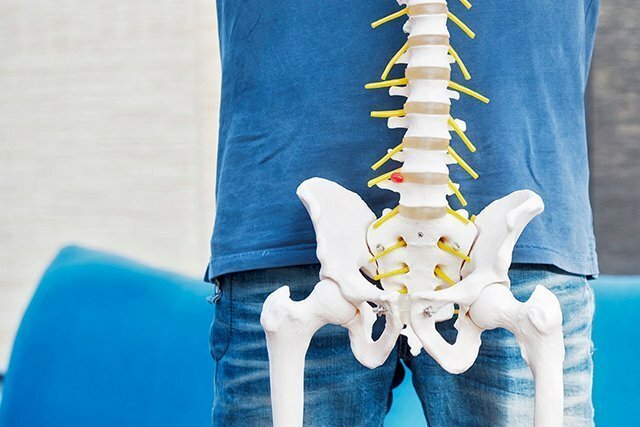 The clinical teams of Chiropractic Specialty Center have corrected poor postures in kids, adults and even reversed slipped disc and reduced scoliosis. Our hip and knee pain treatments have been successful even when surgery failed. Over the years we have treated over 10,000 cases. Best of all, our clinical successes are better than 90%. Believe it or not, that is quite an accomplishment. No more than a handful of the center can relate these numbers. Visit us today to discover the possibilities. Even if others failed to help, we can. A Doctors of Chiropractic (DCs) – known as chiropractors or chiropractic physicians – offer the best alternative to medication, injections or surgery. A Doctor of Chiropractic is well informed on the best and most efficient non-surgical treatments. In fact, their entire education program concentrates on the practical alternatives to surgery. In short, if you are seeking a non-surgical solution for your neck pain, back pain, slipped disc, scoliosis, joint pain or sports injuries; seek care from a clinical research-based chiropractor. In the United States of American, their MD colleagues (Medical Doctors), a doctor of chiropractic is subjected to established rules and regulations as set forth by the licensing boards. Furthermore, a chiropractors training and education in four-year doctoral graduate school programs are accredited and recognized as a doctorate program throughout the US. Chiropractic is relatively new in Malaysia, and regulations have been put in place to ensure licensing and practice guidelines. However, few insurance companies cover chiropractic services. Chiropractic Specialty Center® experts expect this to change in the coming years. The clinical success that our physiotherapists and chiropractors have shown in the treatment of spine and joint has not gone unnoticed. In our opinion, insurance coverage and broader practice scope will soon enable patients to access clinical chiropractic care with ease. Physiotherapy is essential for treatments of muscles, tendons, ligaments, and joints. The care you get from a physiotherapist is through manual or mechanical means. Goals with physiotherapy are to improve physical function and endurance by removing limiting factors and repairing the damage or injured segments. Physiotherapists at Chiropractic Specialty Centers are experts you need to improve movement and function. Best of all, their clinical expertize is enhanced with the care you get from our Doctors of Chiropractic who work in collaboration with our clinical physiotherapists. Similar to our chiropractors, a physiotherapist must meet or surpass our stringent rules of recruitment. Only the best and brightest are the privilege of treating a patient at a Chiropractic Specialty Center. Yes, managing your health condition is a privilege that we don’t take for granted. As such, we have incorporated the most thorough training and continuing education programs for our physiotherapists. Rest assured, getting your physiotherapy treatments at the Chiropractic Specialty Center is second to none in Malaysia. In fact, our clinical physiotherapists can do more for you. The combination of stringent hiring rules, training programs, continuing education, integrative non-surgical treatments and our technology offers the best non-surgical treatment in town. Physiotherapists in surgical setting concentrate on getting patients ready for surgery or those that have had surgery. Therefore, if you are seeking non-surgical solutions, it is better to get physiotherapy from a non-surgical center. Why Should You Choose Chiropractic Specialty Center®? We know you have options. Malaysia has numerous centers that offer chiropractic and physiotherapy treatments. Some concentrate on chiropractic treatments, while others provide physiotherapy services purely. Few centers give collaborative methods of care through physiotherapy and chiropractic. We are the center that offers targeted spine and joint care through physiotherapy, rehabilitation, and chiropractic. What differentiates us from the rest is our skills, knowledge, training and of course breakthrough technology. In short, the care you get from us cannot be surpassed through the efforts of others. With that in mind, we are the best choice for all your spine and joint disorders. The most challenging part of treatment is the diagnosis. Far too often patients are misdiagnosed. Misdiagnosis or lack of identifying the cause of a given condition is the leading factors in limited improvements or clinical failures. Usually, patients diagnosed with sprained backs, subluxations, joint misalignment and weak muscles have underlying conditions that go unnoticed. However, if you opt for care at one of our centers, our clinical teams of chiropractors and physiotherapists will identify the actual cause of the problem, rather than the result of issues. In short, the care you get from us is comprehensive. Our results speak for themselves. We are the only center to have reversed severe slipped discs without the need for medication, injections or surgery. Choose Chiropractic Specialty Center because we are the best non-surgical spine and joint center in Malaysia.